Recognized in the areas of Real Estate, Estate Planning & Probate, and Business/Corporate law—with more than 175 years of legal experience among them—six Porter Wright attorneys have been selected for inclusion on the 2012 Florida Super Lawyers® list. Five Porter Wright partners—W. Jeffrey Cecil, Mary Beth Clary, Jeffrey S. Kannensohn, William H. Myers, and Robert J. Stommel—have been recognized by Florida Super Lawyers 2012. Porter Wright partner Joshua M. Bialek has been selected for inclusion in Florida Super Lawyers®—Rising Stars Edition 2012. • Jeffrey Cecil is recognized in the area of Real Estate and concentrates his practice in the areas of business, real estate, probate and trust law, with an emphasis in real estate acquisition and development, real estate financing and affordable housing. 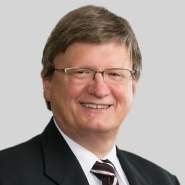 Cecil uses over 30 years of legal experience to also serve as Porter Wright's Partner-in-Charge of the firm's Naples, Fla., office and currently is a member of the firm's Management Group. • Mary Beth Clary is listed in the area of Business/Corporate and concentrates her practice in the areas of federal securities law, corporate finance, mergers and acquisitions, and small business issues. She has extensive experience in corporate governance matters, public and private offerings of debt and equity securities, compliance with the reporting and proxy requirements of the federal securities laws, the acquisition and sale of businesses, and general contract preparation and negotiation. She has been the lead attorney for the public offering of over $12 billion of medium term notes, euronotes and trust preferred securities. Clary also serves as general counsel to many small businesses, advising them on a wide range of corporate and contract matters. Additionally, she co-chairs the firm’s Diversity Committee, serves on its Compensation Committee, and has held numerous other leadership positions during her more than 25 years with the firm, including a 10-year term on its Directing Partners Committee. • Jeffrey Kannensohn is recognized in the area of Real Estate. In his practice he represents financial institutions in transactional and lending matters as well as in real estate workouts and creditors' rights representation. He has represented major financial institutions in Florida in complex commercial real estate transactions, including the workout of classified loans and assets. 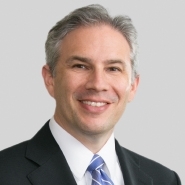 Kannensohn also has experience in corporate and commercial law. • William Myers is listed in the area of Estate Planning & Probate. A practicing attorney for more than 30 years, he works with clients to develop tailored, yet flexible, strategies that minimize adverse tax consequences and is adept at structuring trusts that provide for both current and future family needs. In addition, Myers assists clients who have chosen to split their time between Florida’s Gulf Coast and some other location to establish domicile in Florida and reap the benefits of Florida’s favorable wealth management laws without severing key ties with other communities. He also works with clients to develop charitable giving plans that not only achieve tax savings but also further the efforts and reach of civic organizations that offer so much to those they serve. • Robert Stommel is recognized in the area of Estate Planning & Probate, and has more than 20 years of experience in estate planning, trust and estate administration, fiduciary duties, and post mortem estate planning. He is admitted to practice in both Florida and Michigan and is board certified in the area of wills, trusts and estates law by the Florida Bar. • Joshua Bialek is selected to the 2012 Rising Stars Edition in the area of Real Estate. In his practice, he represents a wide variety of individuals and businesses engaged in the acquisition, development, construction, financing, leasing, ownership, operation, management, and disposition of real estate. Bialek also represents condominium and community associations as well as clients in such matters as the structuring of transactions and ownership interests. He also has advised numerous commercial and creditors’ rights litigation matters. Super Lawyers are chosen from the top five percent of lawyers in each state who have attained a high degree of peer recognition and professional achievement. Rising Stars are age 40 or younger or have been practicing law for 10 years or less. No more than 2.5 percent of lawyers in the state are selected to the annual Rising Stars list. Attorneys are chosen by their peers and through the independent research of the publishers at Super Lawyers, a Thomson Reuters business.